The Garda Memorial Day is of significant importance to the families of those 88 members who are remembered in a special way on a day dedicated to their memory. 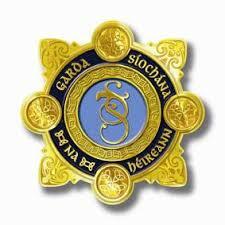 It is also of great importance to all Gardaí, serving and retired. Ann McCabe, wife of the late Detective Garda Gerry McCabe read from Scripture and it was gratifying for those of us affiliated to the Garda Síochána Retired Members’ Association to see our General Secretary, Paschal Feeney and Vice President Pat Lehane also participate in the readings of Scripture at the ceremony, before our Association President, Matt Cosgrave laid a Wreath in memory of our deceased colleagues and friends, at the conclusion of the ceremony. Acting Commissioner Dónall O’Cualáin, (representing the Garda Commissioner who was on Annual Leave), addressed those in attendance and as part of his address praised the standing and work of those members who were being commemorated and spoke of the sacrifices made by them and the feelings of loss endured by the families of our fallen colleagues and by the Garda service. The passing rain showers replicated for many the sea of tears that were shed by spouse, partner, families, friends and colleagues of all those members whose names appear on the Garda Roll of Honour, the difference being that the showers didn’t last very long. The sun shone intermittently amplifying the warmth that exists between Garda colleagues, serving and retired and the wider Garda family, a warmth which shows itself in a particular way on occasions such as this. Dotun Adegbesan (Chairman Nigerians in Diaspora Organisation Ireland), with Garda Commissioner Nóirín O’Sullivan and others. Group with An Tainste, Mrs Joan Fogarty & her daughter Grainne, either side of Tainste. It was disappointing that The Commissioner was not present at this annual memorial to fallen colleagues. It is a very special calendar event and surely other arrangements could be worked around the date. I have no doubt a suitable excuse will be forwarded, if any. Such a pity the Sunday independent commented on some of the widows attendance or non attendance. Our loss is no less if we attend or not. Due to reason beyond our control we may not be able to attend and this should not be hi lighted by singling out widows. We carry the same heartache for life.